NEXT THURSDAY NIGHT! October 26th. 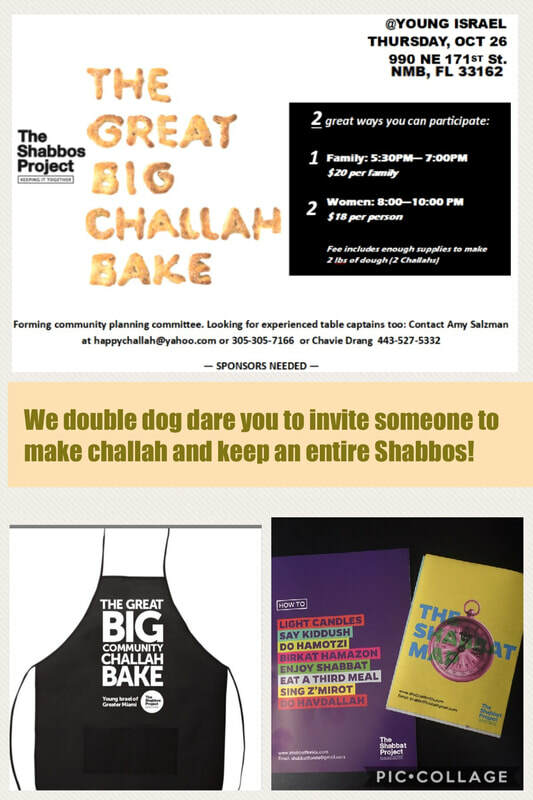 COMMUNITY CHALLAH BAKE! NO CHALLAH BAKING EXPERIENCE NECESSARY! Come learn how to bake challah from scratch and braiding techniques too! Then take home 2 delicious Challahs to bake and bring the mystical smell of Shabbos into your home! To be insured a spot and all the ingredients and materials. PIZZA Will also be available for purchase at the family event!! RSVP with payment is a must. $20 for the family event and $18 for the women's event. $25 at the door, IF space is still available.